BANGI, 21 Oct. 2010 –A group of 27 members of the cycling team of the Sports and Recreation Club of the Ibu Zain International College (IZISH), UKM have successfully completed its maiden cyclying expedition from the UKM campus here to Port Dickson recently. They were accompanied by 29 officers and staffs of the Kajang Municipal Council on the trip which was flagged off early Saturday, 9th Oct. They returned to Bangi the next day covering a distance of 142 kilometers. 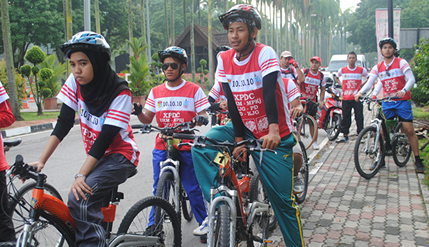 Bisharuzi Omar, a Sports and Recreation Fellow at IZISH, said the success of the expedition had spurred the organisers to push for the formation of a UKM Cycling Club possibly by early next year. The expedition was flagged-off at the main entrance of the campus by Musa Zainal Abidin Othman from the Students Services Department and Anuar Ahmad, head of IZISH. Kolej IZISH is one of 12 residential colleges in UKM. 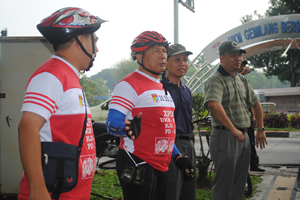 Kajang Municipal Council Chairman, Dato’ Hasan Nawawi Abdul Rahman who had made a name for himself by cycling around the world covering 18 countries in 389 days, a few years back, joined the expedition as adviser. 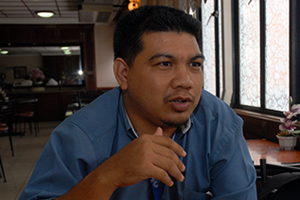 Dato’Hassan had a week before given a talk to the participants on his experiences going round the world which gained him an entry into the Malaysia Book of Records. Bisharuzi said the expedition had given the participants a new experience in cycling over long distances. It also tested their physical and mental strength and helped to build their stamina. The expedition had develop their organisational skills and spirit of co-operation. 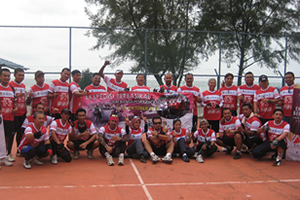 The participants spent the night at Sun Shine Resort, PD before cycling back to Bangi the next day. They exchanged views and tales of their group trips to Thailand and Indonesia. They were also shown the right cycling techniques and tools to be bring for long trips. The group plans to cycle to Putrajaya with the UiTM Tronoh Perak Cycling Club on the 6th of Nov and to Phuket, Thailand at the end of the year. Cycling groups and individuals interested in participating and becoming members of the plannned UKM Cycling Club can contact Bisharuzi at 019-2700026 for more information.